The discovery of a wonderful book full of Chinese floral patterns launched this section of Free Vintage Art. I admit to being drawn to many of the themes and styles in Asian designs. There’s just something about the bright colors they use. Yet, when they draw birds, animals or their beloved mountains, they use a delicate touch that makes things sometimes seem almost etherial. The book in question was full of bright and bold patterns full of reds, yellows, greens, blues, orange and the rest of the color palette. 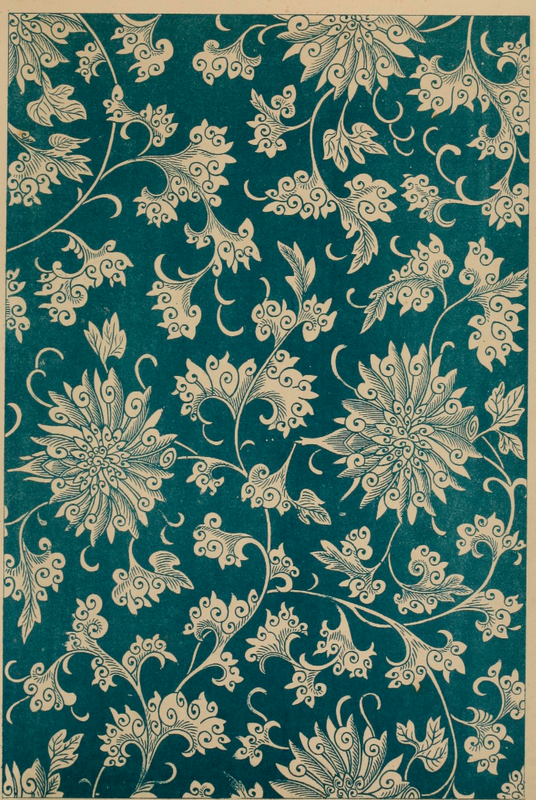 It is hard to believe that such beautiful colors were reproduced with such crispness and clarity in 1867. Stay tuned as our collection of Asian designs grows into a place where you know you’ll be able to find the perfect background, focal design or even color scheme for your own projects. Cloisonné drawing from an original piece of Asian art. The drawing is from a piece housed, at least in 1867, in the South Kensington Museum. 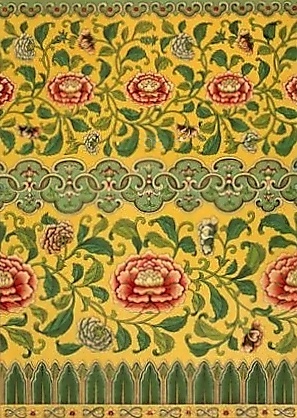 Classical Chinese floral pattern from a huge book on Chinese ornamentation. Offered in original pretty teal and beige and as a black and white coloring page ready for coloring. Wonderful Oriental design with pink flowers, green leaves and designs on a bright yellow background. 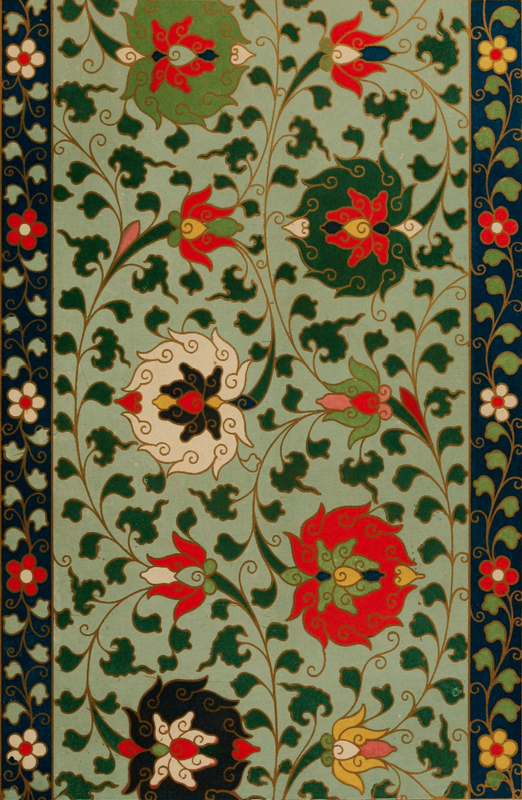 Pure Asian flair and drama with this vintage pattern. 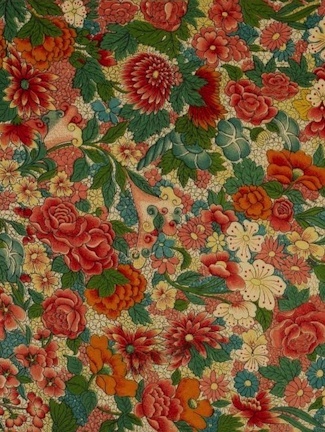 Vintage Chinese flower print is perhaps more typical of India but this bold and bright image is dramatic and would be great in your creative projects. I did a search on Amazon for japanese washi paper to get you started. Maybe you'll find that little something that will transform your current creative project into something spectacular.